City staff will be going door to door in neighborhoods this week to help with clean up and damage assessments. If you need help immediately please call 2-1-1. 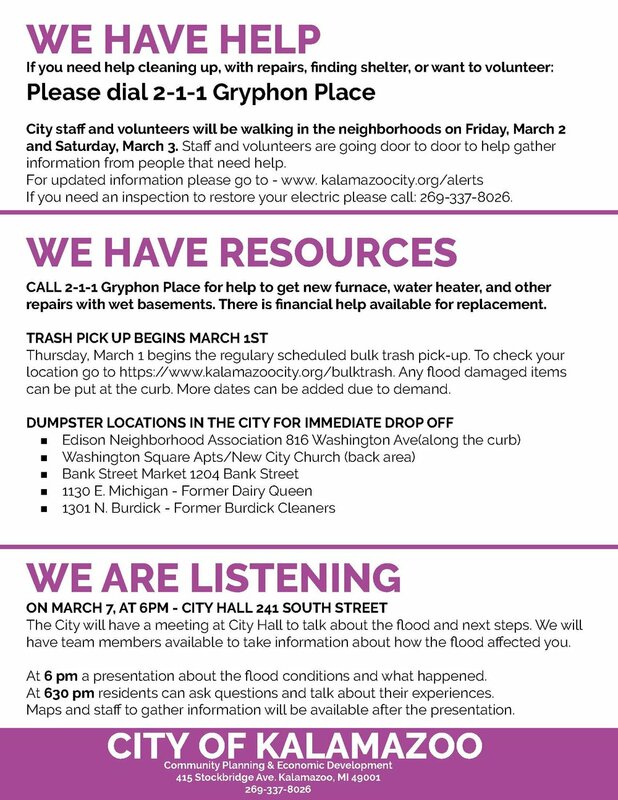 If would like to volunteer to help with either clean up or walking door to door - Please sign up with 2-1-1 Gryphon Place.